Dubai: Dubai-based telecom operator Du is turning to emerging technologies such as the Internet of Things, artificial intelligence, Smart Cities, and blockchain services as a new source of revenue stream. 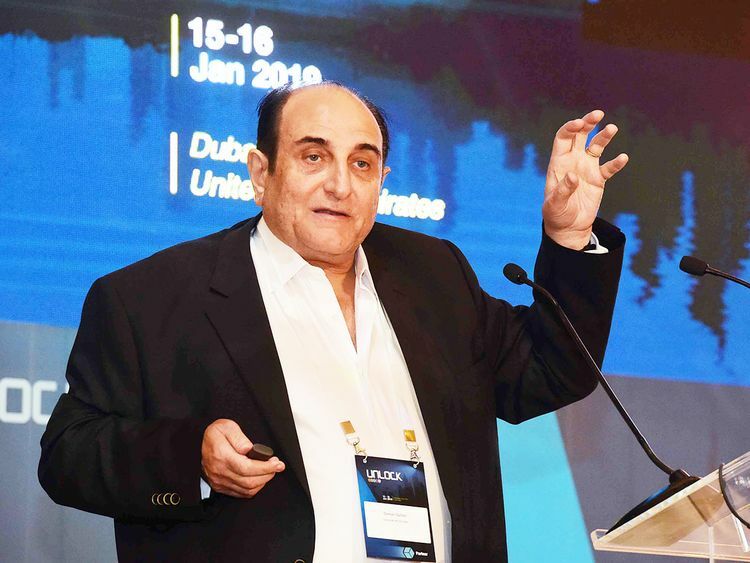 “These are new growth areas equipped with technology, technical resources, infrastructure and data centre capabilities and it is the fastest growing revenue stream in the organisation,” Jihad Tayara, vice-president for ICT commercial and business development at Du, told Gulf News at the Unlock Blockchain Forum taking place in Dubai. Telecom operators are licensed to offer connectivity services but on top of that Du is building a lot of services by partnering with other companies to offer managed services, he said. Du is offering ‘blockchain platform as a service’, the operating system needed to run the blockchain platform, by partnering with ConsenSys and will be officially launching in the first half of this year. “We started offering the blockchain technology for the personal identification sector and moved to the healthcare sector by entering into a collaboration with the healthcare app provider Dhonor HealthTech for patient-centric safety verification of medicines,” Tayara said. Moreover, he said that Du is also in advanced talks with financial firms as well. “Our role is not to compete with these sectors and small organisations. Our role is to enable them with the technology,” he said. Tayara said that blockchain is moving from hype to reality. “The hype was during the cryptocurrency but the reality is that real projects are coming on stream. As with any new technology, implementation will take time,” he said. Wassim Merheby, CEO of Dhonor HealthTech, said that the need for transparency and visibility to verify the authenticity and condition of the medicines that patients’ lives depend on is “essential”. By adopting blockchain into the operations, he said that it will be an important step towards the digitisation of the UAE’s healthcare sector and enable a solution for checking and verification of medicines and blood bags during supply chain and transit. “The solution can address the patient’s safety and solves the problems of many patients encountering counterfeit medications and wait times for trusted blood bags. The solution can also be used for other sectors for verification, “he said. Merheby said that the blockchain solution will be offered in the UAE initially and later across the globe. According to a recent report by Ericsson, telecom operators in the UAE can capture potential revenues of $3.3 billion (Dh12.11 billion) from the digitalisation of industries with 5G technology. According to the report, the industry growth potential in the UAE is being driven by the digitalisation of the manufacturing sector, contributing to 18 per cent of the potential revenues by 2026, followed by 16 per cent in energy and utilities, and 12.5 per cent in public safety by end of the same period.